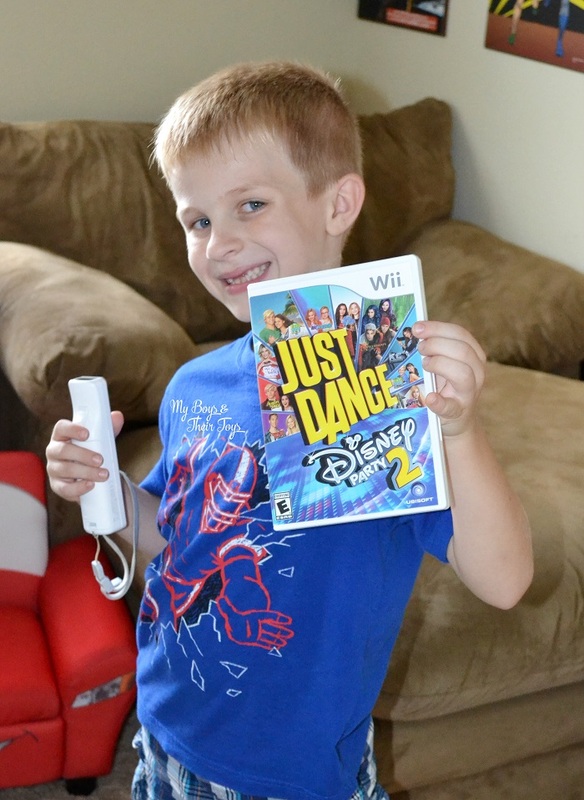 Get your fitness on with Just Dance: Disney Party 2! This fun and interactive game will get your family moving and grooving with the hottest Disney Channel movies and shows. My boys not only love the Disney shows that this game features but really love interacting with this game. 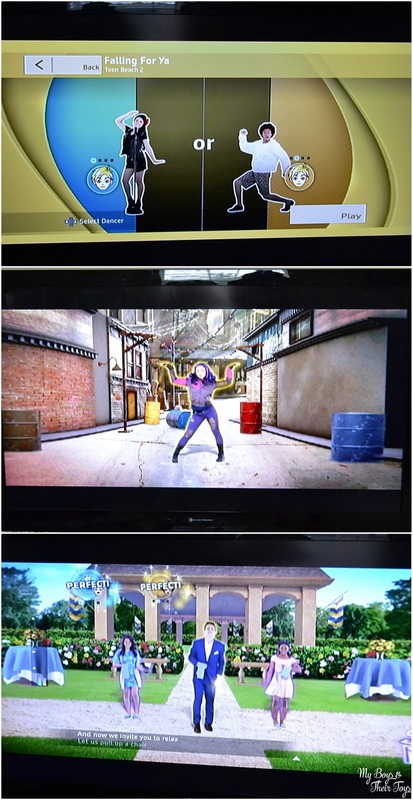 We own the Nintendo Wii and hold family and friends dance competitions in our gaming room. 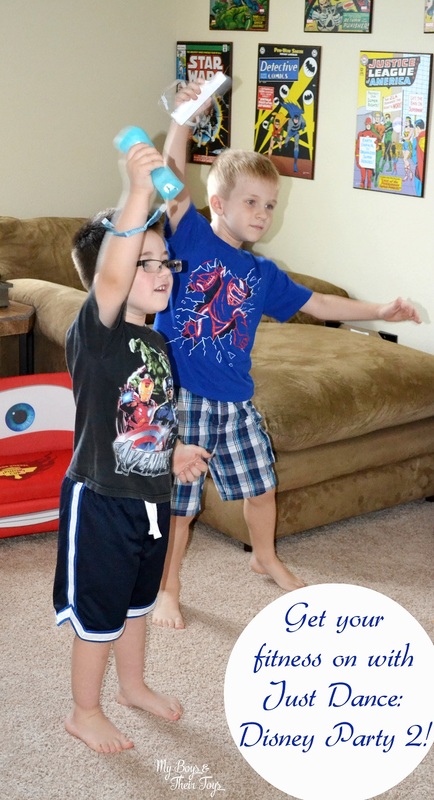 Many times, gaming can be stagnant where you sit in a chair or on the coach, but not with Just Dance: Disney Party 2. It promotes active movement by getting you off of your feet and dancing, which is not only fun, but educational too. I see this as a great tool for fitness class with our homeschooling routine. It’s easy to work up a sweat and burn some calories while playing. It’s also perfect for rainy or snow days when kids are cooped up indoors, but need to get their energy out. My 7 year old is so funny because he likes to create his own dance moves, and with Just Dance: Disney Party 2 he can learn entire routines from the most popular Disney shows and movies. We are big fans of “Descendants” and the “Teen Beach” movies so the boys were really excited to see songs like “Rotten to the Core” and “Gotta Be Me” on the video game. One of out favorite things to do as a family is have dance offs. The game allows for up to 4 players, and they can compete as a group or separately. If you are looking for something fun to do with your kids, or something fun for your kids to do with their friends, Just Dance: Disney Party 2 is a great game to add to your collection! Find it on sale here . 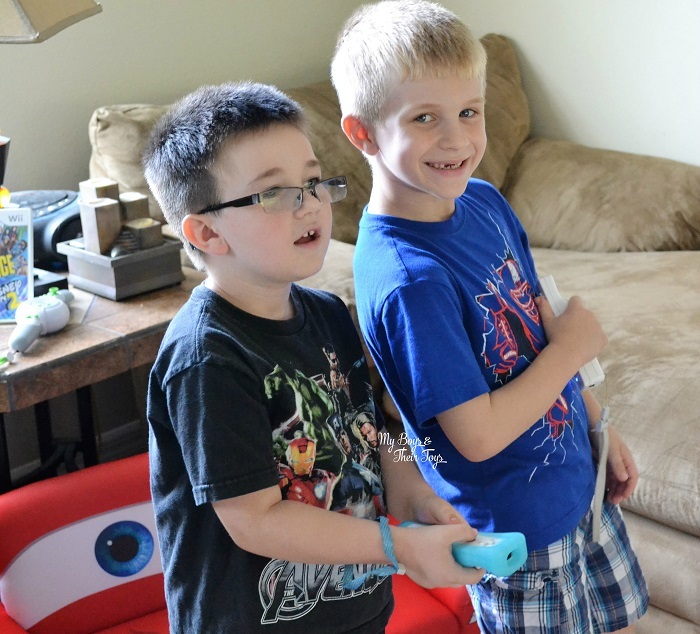 I haven’t bought a Wii yet, but this sure does look fun for my son to get involved in. Having fun and excersing at the same time…can’t beat it!! You must’ve missed this in the post: Just Dance: Disney Party 2 is now available on Xbox One, Xbox 360, and Nintendo’s Wii and Wii U systems. So if you have one of those gaming systems, you’re in luck! The kids look like they’re having a great time. This is the type of game I might consider for my son. I love the Just Dance games. They’re the perfect way to make getting active fun. Great idea! I need to bust out my old wii and teach my son some moves. I could use the exercise!